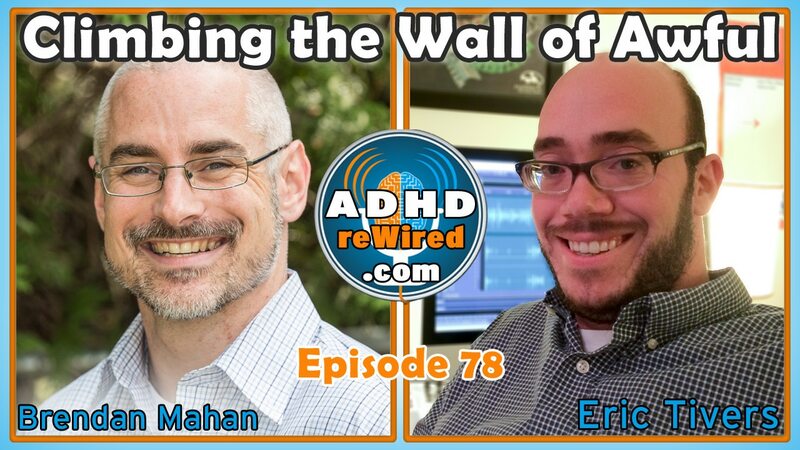 An ADHD coach and guidance counselor, Brendan Mahan talks in detail about The Wall of Awful, his metaphor that functions as a tool to help discuss the role emotion plays in dealing ADHD. Describing the Wall of Awful in detail, Brendan breaks down how it applies to both children and adults, how people construct their personal walls, and how they can successfully climb them. A former teacher, Brendan now works as a coach, guidance counselor, and speaker for those of all ages with ADHD. With a particular focus on the role emotions play in exacerbating the effects of ADHD, he seeks to help families and schools better navigate and understand those effects. 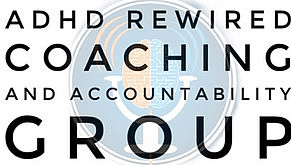 This summer, Brendan has been a member of Eric’s ADHD reWired Coaching and Accountability Group. The Wall of Awful is Brendan’s metaphor for explaining the emotional impact of ADHD. Everything a person has failed at in a given scenario or context can be dredged up in their mind when they have to attempt a similar task later on in life. Those failures can lead people to avoid or build up an aversion to such similar tasks in the future. Filling out tax forms can remind people of all of the tedious forms and homework assignments they have had to complete – perhaps problematically – in their lives, so they tend to avoid it. Eric tells of a time in college where he was given a deadline for a paper that amounted to “turn it in whenever you get done,” which he labels as the worst type of due date for those with ADHD. Working eight hours each day for three-and-a-half months, Eric worked on that three-page paper. Now, because of how painful an experience writing that paper was for Eric, he feels like a Wall of Awful exists around writing. The Wall begins construction when we fail – the negative emotions surrounding that failure are the start. Additional bricks are added for each of the people we feel we’ve disappointed with our failure, such as parents, teachers, classmates, spouses, and even children. When someone feels another is disappointed in them, they will usually worry about being socially rejected, regardless of how unconditionally the other loves them. The fear that the other will no longer like them still persists. When the fear of rejection sets in, more bricks of those type are added; when a feeling of guilt sets in, more bricks of those type are added. Eventually, the guilt bricks can turn into a larger block of shame; guilt is the feeling of making a mistake, while shame is the feeling of being the mistake. When the ‘mistake’ is seen as having ADHD, it can be a struggle to remove bricks associated with shame. The effects of building a Wall are usually seen in the form of either avoidance or resistance to the walled task. Building the wall can make it hard to take risks, such as in the case of dating. Each time you go to ask someone out, you have to deal with the emotions associated with every other instance of asking someone out or thinking of asking someone out in the past. There are four ways to deal with the Wall of Awful: only two of them work, and only one of them is healthy. Method One: Walking up to the Wall, staring at it, and doing nothing. They do not engage the wall; they just freeze. Method Two: Trying to go around the Wall. The Wall, however, is infinitely wide. Those that attempt circumventing the wall will become distracted by other tasks or objects, never actually succeeding. Method Three: Smashing through the wall with aggression and anger. This is represented when a child picks a fight with their parents or teachers in order to build up enough emotional energy to break through the negative emotions of the Wall. Ultimately, this method tends to damage relationships. Method Four: Climb the wall. Climbing the wall looks a lot like both staring at and trying to go around the wall. A child might spend fifteen minutes to take their binders out to begin their homework, but in that time, they’re thinking through their emotions and gradually climbing the Wall. Alternatively, a child could ask to watch an episode of a TV show before starting their homework; as long as they are notified when it’s time to stop watching and start their homework (as opposed to being left in front of the TV), then it could be a valid strategy for stimulating their mind. If method four is to work, the parents need to be involved. Parents need to monitor their children to see in which way they’re trying to climb the wall. Either path involved with method four could work, as long as the child has help along the way. Oftentimes, Brendan will see parents of children with ADHD, even when one or both of them have ADHD themselves, have trouble understanding what their children are going through. Perhaps the parents forgot what their own experiences were like or figure that because they were able to handle their ADHD that their child doesn’t need extra assistance. A child’s struggles may mentally conjure up the parent’s own negative emotions surrounding their ADHD experience, which then may lead to the parent distancing themselves, becoming frustrated, and ultimately having trouble engaging with the challenges their child is dealing with. Generally, Brendan says the Wall starts to form around fourth grade for those with ADHD or learning disorders. Prior to third or fourth grade, while children will still struggle, they usually won’t have struggled often enough or on enough occasions for those struggles to matter to them yet. 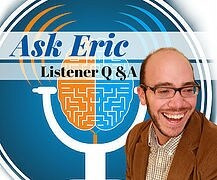 Eric remembers a time in elementary school where he was asked to stand in the hallway as punishment. Without knowing whether or not it was okay for him to go to recess after the class let out, he stood there the whole time until the class returned. If a child finally concedes to doing a task (like homework) that they were angrily and obstinately resisting, Eric suggests just going along with it. Those with ADHD thrive on stimulation, so continuing to argue with them will only continue the stimulation, but in a toxic way. One of the advantages of the Wall as a metaphor is that it provides a common and simple way to discuss the otherwise very abstract concepts at play. Asking “are you climbing the Wall of Awful?” cues them into the idea of the wall and can actually speed up the process of climbing it. Children (and adults alike) can often have a hard time making friends because of the perceived level of risk involved, as built up through their Wall around making friends. Those who have had bad experiences making friends because of their ADHD or other disorders can build such a Wall that then leads them to avoid or resist making friends in the future. As an adult, it can also be challenging to maintain friendships as one’s life changes. Following up and managing the multiple relationships, planning to meet up, etc. can all be taxing on the executive functions, and so be more challenging for those with ADHD. After Brendan and his wife moved to a new place, they had their first child, which kept them occupied. Still, they made it a point to meet up with friends from their previous city at least once per month, which has helped them maintain and improve those friendships. Meeting new friends in their new town has been more challenging and a slower process. Eric and Brendan both mention the work of Thomas Brown as also touching on similar topics of emotions and ADHD. Although not an ADHD researcher, Guy Winch and his book Emotional First Aid helped Brendan identify and label the negative emotions now associated with the Wall of Awful. Guy Winch equivocates between teaching children to tend to physical wounds and teaching children to tend to psychological and emotional wounds: why teach one but not the other? Brendan’s mentor in his area (Massachusetts) is Dr. David Nowell, who has talked about the interplay between fun and importance, and how often the two are flipped in those with ADHD. 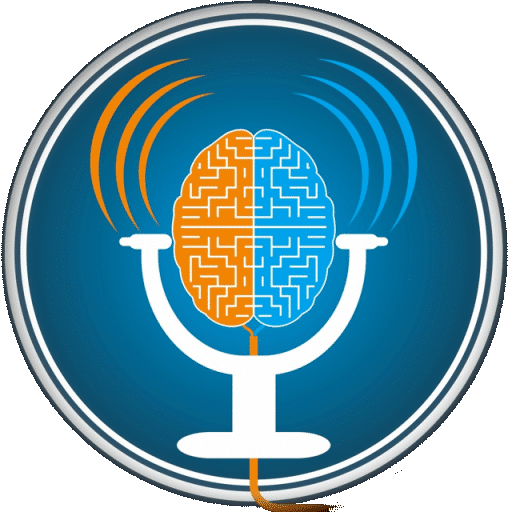 When talking to clients, Brendan will say how “sometimes the ADHD wins,” as a way to both establish that a particular battle has concluded while also leaving room open for the next battle or a re-match. Additionally, that phrasing de-personalizes the idea, establishing that the ADHD won, not that the person failed. 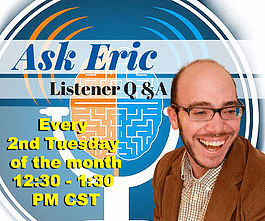 Applying the Wall of Awful to Eric’s situation, Brendan mentions how the buildup of future organizational work and the increasing potential for problems to arise built it up temporarily. Brendan is using the puddle as an analogy for investment. It takes time and effort before a new acquaintance becomes a friend; someone may need to fail a lot at a particular task in order for those failures to have meaning or to lead to success. Executive functioning deals with working memory, to planning, prioritization, organization, time management, time awareness – basically, the elements that help to set and achieve a goal. Because those with ADHD have difficulties in those areas, they’re also more likely to develop a Wall of Awful around tasks that require those skills. Brendan uses Google Calendar and its scheduled reminders to offload some of his executive function burden to his computer and phone. Making sure he sleeps enough is very important to Brendan. Partnering with others, like his wife for instance, who are more skilled at certain task than he is, is also essential. His wife also attended an ADHD training session with Brendan years ago, which helped tremendously with her understanding of the situation. Participating in the ADHD reWired Coaching and Accountability Group, Brendan had nothing but positive remarks. Specifically, he cites the tools, the virtual study hall, and the openness of the group to comments and participant input as what made the program so phenomenal. You have fourteen bricks on the ground. Each brick is six inches tall. How many would you need in order to be 10 ft tall? What Pink Floyd song has the lyric “we don’t need no education”?